This time last year, most safety-related news stories focused on food safety (thanks to Chipotle). Now that enough light has been shed on the issue of food contamination and foodborne illness in the restaurant industry, it’s time to turn our attention to a new safety matter: work-related injuries. Although the statistics presented by the BLS show that the hospitality industry is less prone to work-related injuries and illnesses than some higher-risk occupations, the numbers above shouldn’t be taken with a grain of salt. Worker’s comp payouts and premiums. Overtime coverage while the employee recuperates. Accident investigations, reporting, and future mitigation work. Hiring a new employee (if the injury was serious enough). If you’re running a business—either within the hospitality industry or outside it—securing your workplace should be a primary concern. If you take measures to protect customers from accidents and other injuries or illnesses stemming from your business, you need to do the same for your employees. While more serious health crises need to be attended to by medical professionals in a health care setting, there are ways—one-time and short-term, per OSHA’s standards—whereby members of your staff can address work-related injuries on-site. When it comes to working in hospitality, let’s face it: injuries are going to happen. Someone’s stuck in the weeds and stops paying attention to their surroundings. An employee tries to eat too quickly before returning to work and starts choking. Poorly-maintained kitchen equipment leads to unnecessary cuts or burns. And so on. If something happens to one of your employees on the job, are you prepared to handle it? If you don’t already have a plan or preparations in place for administering first aid in the case of a work-related injury, you’re in luck. We’ve got just what you need. Every employee is entitled to work in a safe environment. 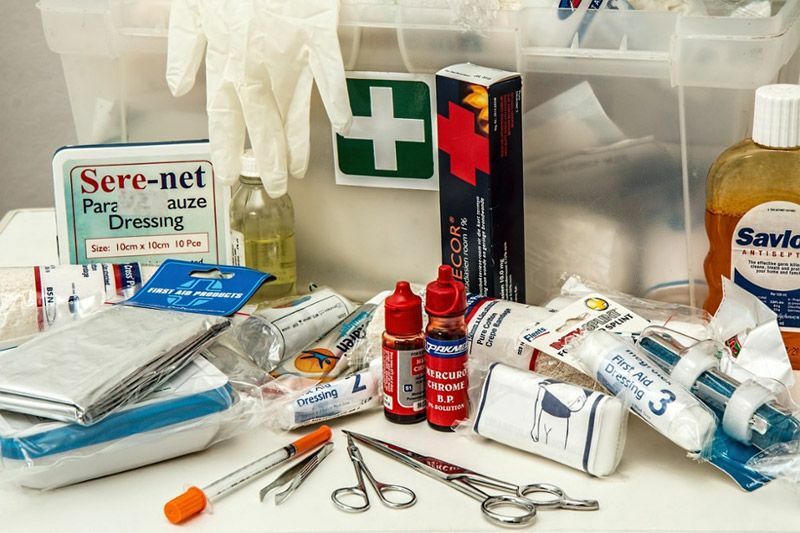 In order to provide that safe workplace, you’ll need to establish a first aid program. This includes establishing the proper safety and first aid documentation, a rigorous staff training program, as well as well-stocked first aid supplies. If you’re not sure where to start or you’re having a hard time staying on top of maintaining your current program, download our “First Aid for the Win!” checklist now.